Dramm Featured on HGTV Canada's Home Factory, Airing Tonight! Manitowoc, Wisconsin- The Dramm Corporation, a leading manufacturer of high quality watering tools, will be featured on HGTV Canada's Home Factory in the episode 'Talking Trash' premiering tonight, May 22, at 10:00 pm EST. "Our Grandfather, John G. Dramm, a florist by trade, invented the Water Breaker® in the early 1940s to provide an efficient and even flow of water for flower growers," said Hans Dramm, family owner of the Dramm Corporation. "This was the beginning of the Dramm Corporation and the foundation of the beautiful Rain Wands™ you will see highlighted in our Home Factory segment." Dramm's Rain Wands™ allow you to apply large quantities of water quickly to the plant base, where it soaks deep into the soil. 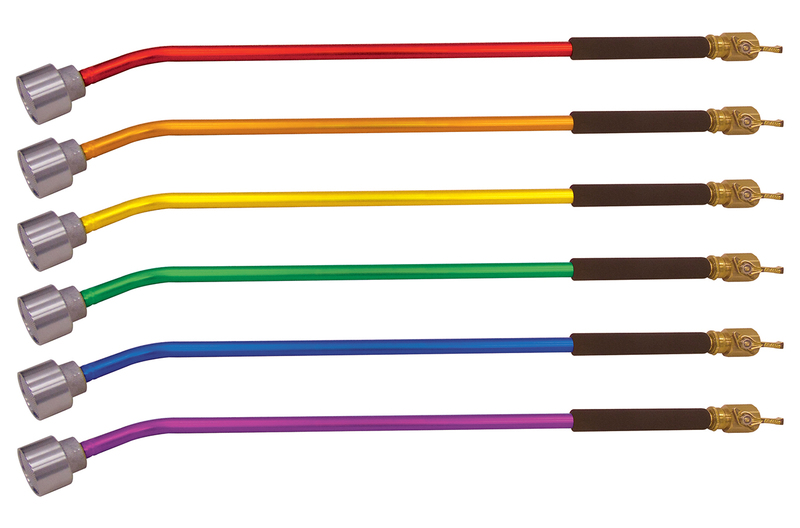 The 30" ColorMark™ Rain Wand™ is equipped with a shut-off valve to reduce overall water consumption. Allowing you to apply water where and when you need it. The Home Factory production crew shot a segment showing the process of making the 30" ColorMark™ Rain Wand™ from start to finish. "It's going to be a very fun and educational feature as you will see how we handcraft the 400 AL Water Breaker®, how the color is added to the rain wands, and the various testing and other components that go into each wand we make," said Dramm. Dramm is honored to be in the spotlight and enjoyed Home Factory's visit. "The Canadian-based crew from Home Factory was great fun to work with and very professional as well," said Heidi Dramm Becker, family owner of the Dramm Corporation. Please visit HGTV Canada website for repeat airings.